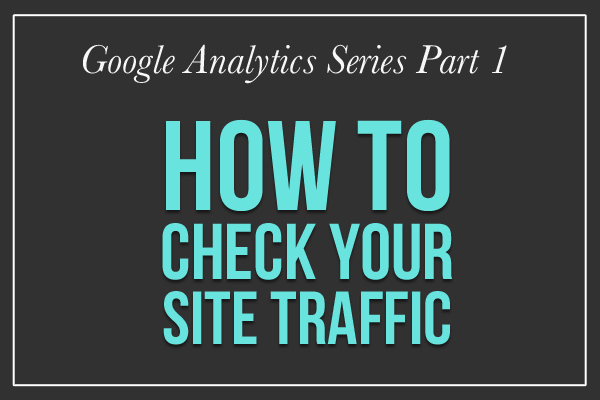 As we have mentioned in previous posts, analyzing your Google Analytics can help you to understand what’s working on your website, and what’s not. 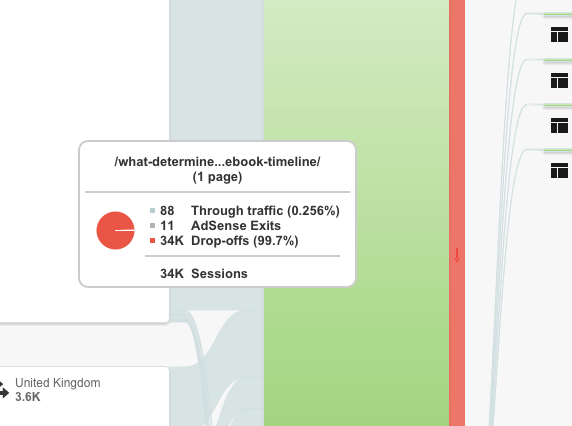 One specific tool that can be really helpful is Google Analytics’ Users Flow data. This data shows the traffic to your website in a bubble chart that depicts how many people landed on each page and where they went from there, whether it was off your site or just to a different page. 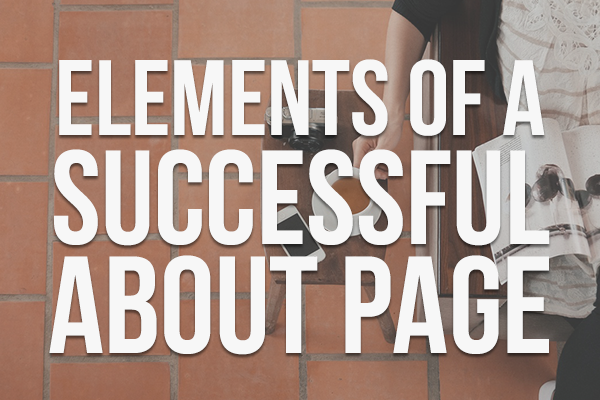 You can easily see how long people stay on your site by the number of pages they navigated through. From this, you can gauge whether your site is offering the information that your audience is searching for. 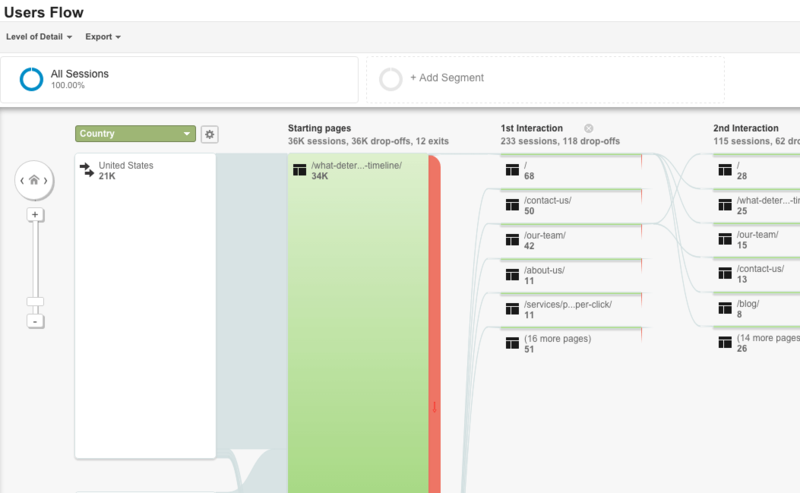 With the Users Flow graph, you can also see how successful individual pages are based on the drop-off for each page on your site. One special trick I like to do is to right click on a bubble for a landing page that we’re working on building up in the search engine results. I choose “Highlight Traffic Through Here”, and then I can see all the subsequent pages that the audience navigated to after visiting that landing page. If I notice that a ton of people are leaving the site immediately after first visiting that landing page, then I might wonder whether our landing page is effective at delivering information, or if the people finding that page aren’t actually looking for that information, indicating our SEO is targeting the wrong audience. If I notice that lots of people are moving on to the Contact Page, the Schedule an Appointment Page, or other pages with informative content on our site, then I’d probably assume that this page is doing its job and is bringing in the appropriate traffic to our site. How will you use this Users Flow data to improve your website content?